Suitable for Ortlieb saddle bags from 1996 onwards. Does exactly what I hoped it would, an improvement on the original bracket, which didn’t really never fitted properly! 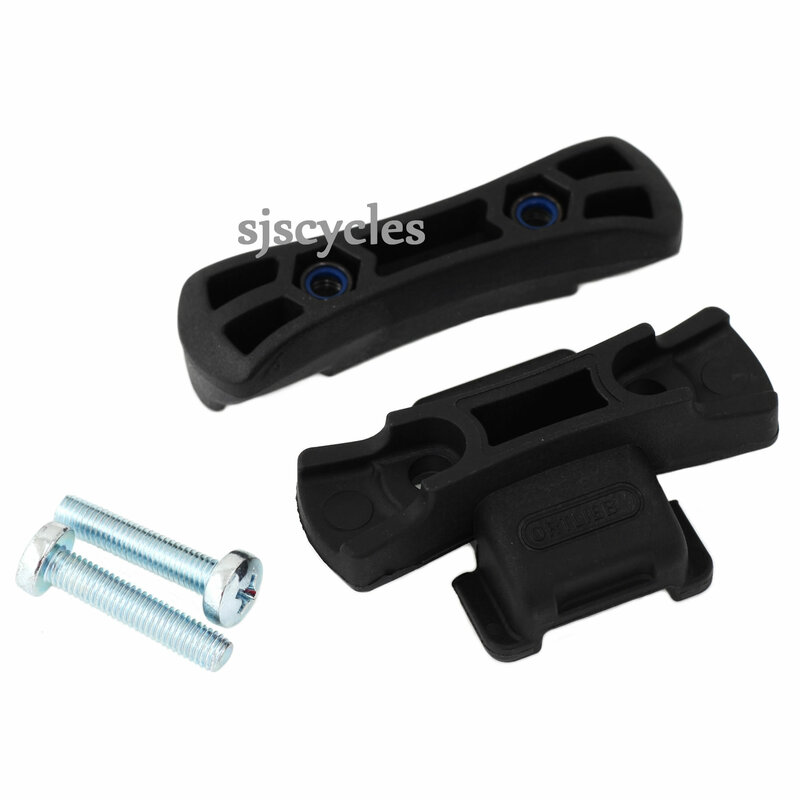 Well designed adapter for Ortlieb saddle-bags. After a lot of fiddling about I managed to get a secure fixing to a Brooks saddle but it was right on the edge of falling out. Will this mount fit on to a Brooks B17 Narrow Saddle? Providing you have enough space on the parallel section of the saddle rails behind the seatpost clamp then this bracket should be fine to fit. Yes, this is the correct mounting for that Ortlieb saddle bag, it is the exact same kit as is supplied with the bag.